While I prefer the long days of summer, I can't deny the inevitable adoration I have for the fall season. The change in the air, the seasonal goods (hello, pumpkin-flavored anything) and the craving to stay indoors - all cozy and snuggly. I'm no stranger to layers in San Francisco at any time of the year but, layers in the fall feels so right. And with Thanksgiving next week, it's about time I settled in with my layers. 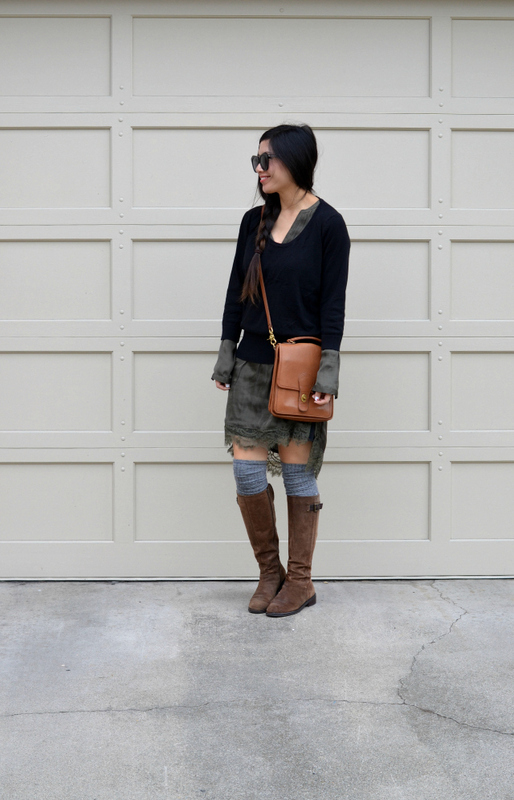 Speaking of great things about fall--how about this lovely layered look! 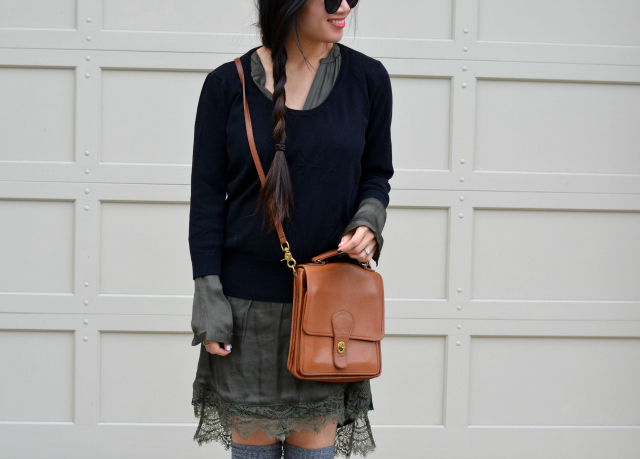 I love the socks with the boots and the sweater over the dress! 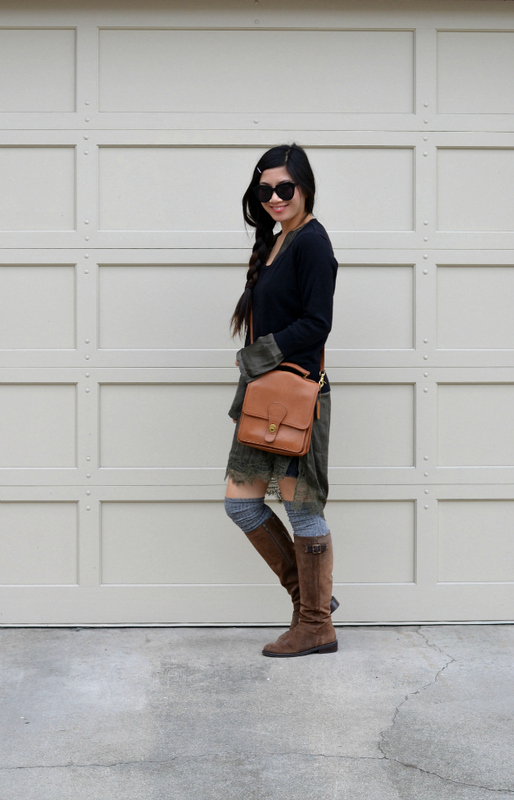 Yes fall is all about the layers! Cute bag! Love this! Your layering is so perfect!! Your socks are PERFECT here! And I am a sucker for pumpkin everything too. Great use of your summery dress. I have been wanting to buy some OTK socks - they seem so fun. I'm loving the layers. This entire outfit is just so cute! fabulous layering. love that bag and your hair. here is the deal. I am old so I can say what ever I want. You are completely, adorable in an " I- am an anthropolgie model" sort of way. Creative, pretty, fabulous figure, and a well honed esthetic. 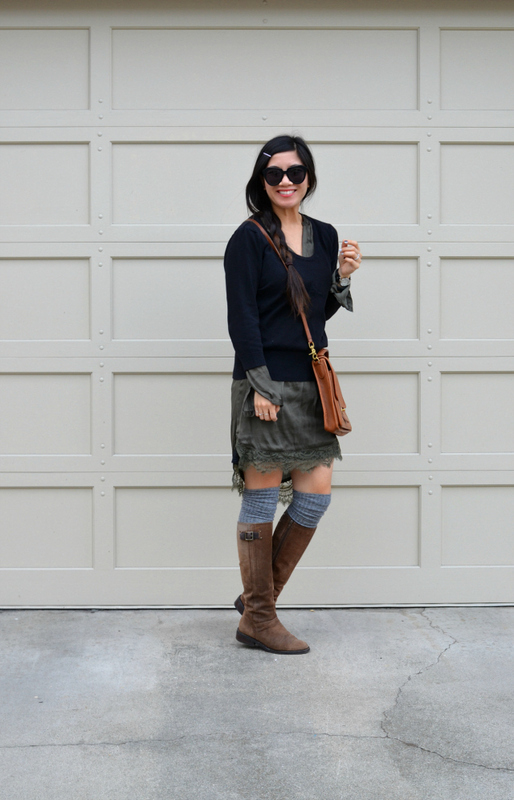 this looks great, love the skirt, braid and layers.